At Alfano Motorcars | Mercedes-Benz, our service menu pricing is more than competitive with independent service providers as well as other Mercedes-Benz dealers! important to have this system service periodically. Includes all maintenance procedures recommended by Mercedes-Benz for this interval: change oil with Mercedes-Benz Genuine Engine Oil and replace filter, inspect for leaks and condition of all components, lines and hoses on the engine, transmission, level control, steering system, and fuel and brake systems. Inspect and adjust drive belts. Clean and inspect air cleaner element. Remove wheels and rotate tires (if applicable) as necessary. Inspect the brake system, measure rotors with micrometer and report remaining serviceability. Adjust parking brake. Check all exterior and interior lamps and windshield wiper inserts. Lubricate throttle shafts, door hinges and locks. Function check of most components. Perform recommended 32-point inspection and road test. See your Owner’s Manual for specific service details. Does not include replacement of activated charcoal filter at 75,000 miles. Adhere to all required elements listed by model year and specific model as indicated on the corresponding service sheet for Mercedes-Benz Maintenance Systems in the USA. As an added value, Alfano Motorcars | Mercedes-Benz will also inspect all interior and exterior lamps, perform recommended 32-point inspection, and conduct road test. Lubrication Service (except V12, AMG®). Service includes draining engine crankcase and refilling with Mercedes-Benz Genuine Engine Oil. Replace engine oil filter. Visual brake inspection. Check and replenish all fluid levels. Check belts and hoses. Check interior and exterior lights. 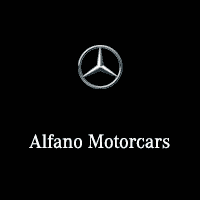 Perform recommended Alfano Motorcars | Mercedes-Benz 32-point inspection and road test.